The symptoms associated with itchy eyes are: burning sensation in the eyes, watery eyes, inflamed eyelids, redness in the eyes, discharge from the eyes and increased sensitivity to light (1). The immune system produces antibodies that cause your eyes to release chemical substances like histamines. These substances are mainly responsible for all the symptoms mentioned above. Other causes include dry eyes, use of contact lenses, improper eye hygiene, use of expired eye cosmetics and some foreign substance in the eyes, such as dust or sand (2). 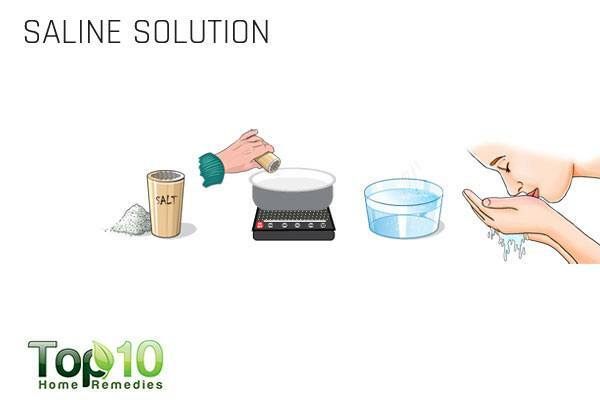 This is a popular home remedy that is recommended by doctors for itchy eyes (3). 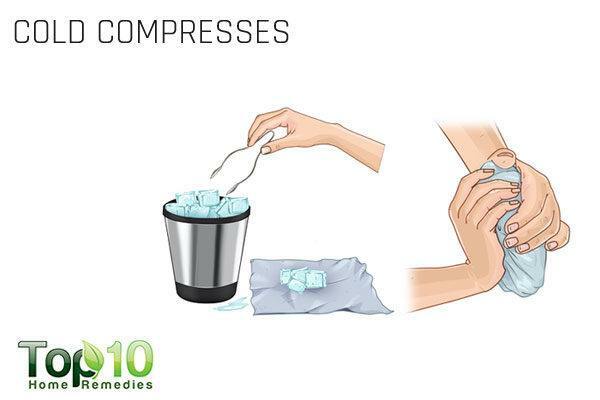 Applying cold compresses over the affected eye can help you get instant relief. 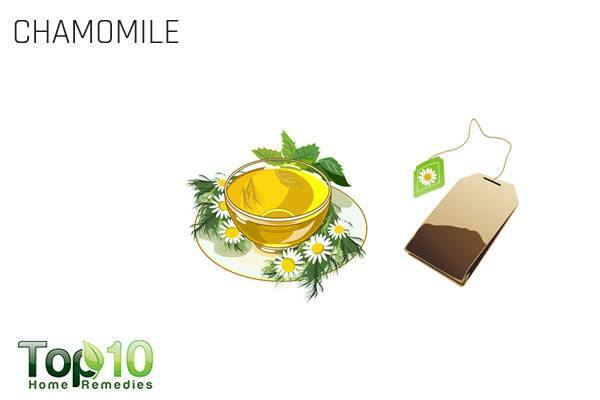 Chamomile has been used in traditional medicine for many therapeutic purposes including eye infections and eye disorders (4). Cucumbers contain chemicals called cucurbitacins that have antioxidant and anti-inflammatory benefits (5). 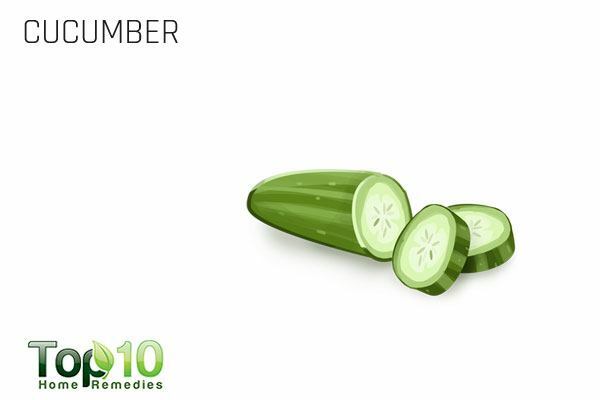 Cucumbers are also rich in phytosterols that have antioxidant and skin healing properties. They also have antibacterial activity (6). 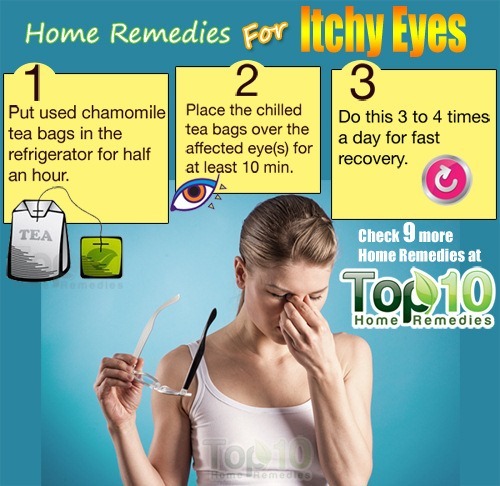 These help reduce swelling and irritation associated with itchy eyes. 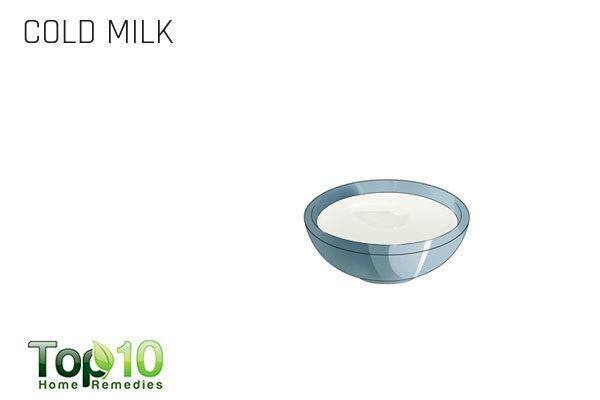 Milk is another popular home remedy for itchy eyes. Milk is reported to have many bioactive molecules that are responsible for its antimicrobial and anti-inflammatory properties (7). Cold milk soothes the burning sensation and eases discomfort of itchiness in the eyes. Green tea has many health benefits, including providing relief from itchy eyes. 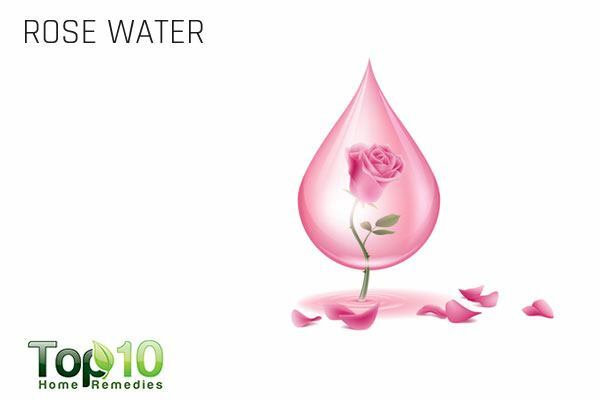 It soothes the eyes and has anti-inflammatory and antioxidant benefits (8). Plus, salt is an antibacterial, antiviral, and antifungal agent that helps get rid of microbial infections (9). Owing to its soothing and moisturizing properties, aloe vera is another effective home remedy for dry, sore and itchy eyes. 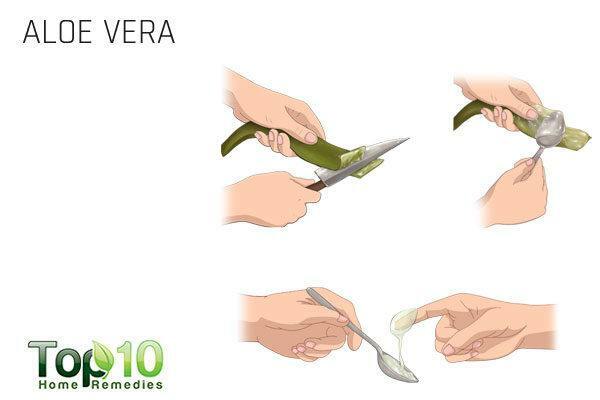 Aloe vera has well-researched anti-inflammatory properties (10). 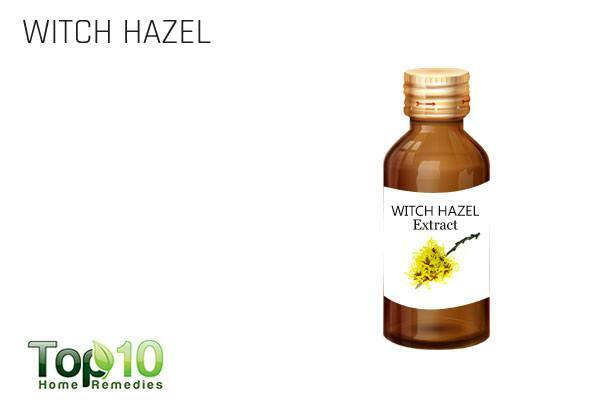 Witch hazel is also good for relieving the itching sensation in your eyes. 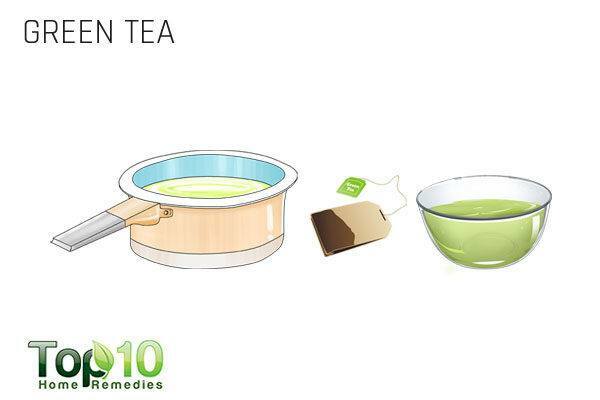 It contains tannins that reduce swelling and has antibacterial properties (11). 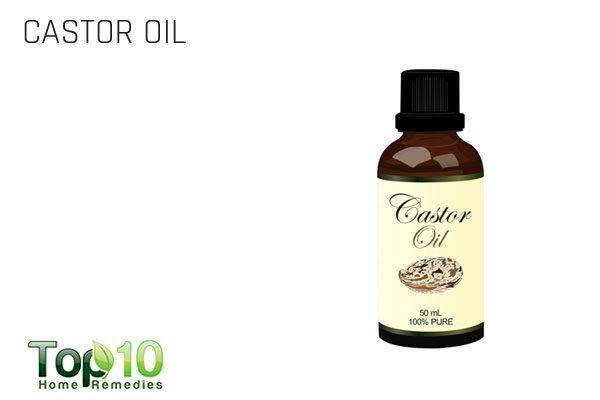 Its anti-inflammatory and astringent nature helps reduce swelling and irritation in the eyes. Do not wear contact lenses for an extended period of time. Also, clean them regularly. Do not share contact lenses or eye makeup with another person. HMPC. Community herbal monograph on Hamamelis virginiana L., cortex. 2011. http://www.ema.europa.eu/docs/en_GB/document_library/Herbal_-_Community_herbal_monograph/2010/04/WC500089244.pdf.